VIRGINIA BEACH, VA—Dr. 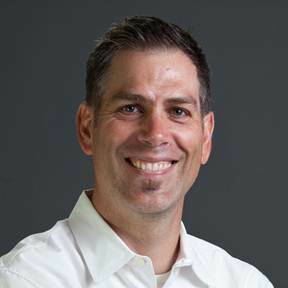 Chris Hull, assistant professor of counseling at Grace College and Theological Seminary and an alumnus of Regent University in Virginia Beach, was invited to deliver a message at Regent’s annual convocation last month, where he spoke on the identity of Regent University, current problems facing Christian education, and the solutions for those problems. Hull has followed in the footsteps of both of his parents in his service as a Christian educator. His lifelong proximity to Christian education and his current role as a professor at Grace have made him especially qualified to identify and understand the various approaches to Christian education, and to find solutions for the problems he has identified. Hull encouraged Regent students and faculty to “be doers of the Word and not hearers—or teachers—only,” referring to a passage in the book of James. Hull also challenged students and faculty to evaluate their priorities, emphasizing that spiritual disciplines and values must not be overshadowed in pursuit of academic achievement. At the convocation service, Hull shared the stage with Regent University’s founder and chancellor, Dr. M.G. “Pat” Robertson, as well as Regent President, Dr. Carlos Campo.